"A photographer is literally somebody drawing with light. A man writing & rewriting the world with light & shadows." I love this documentary, it's so utterly beautiful and awe-inspiring. 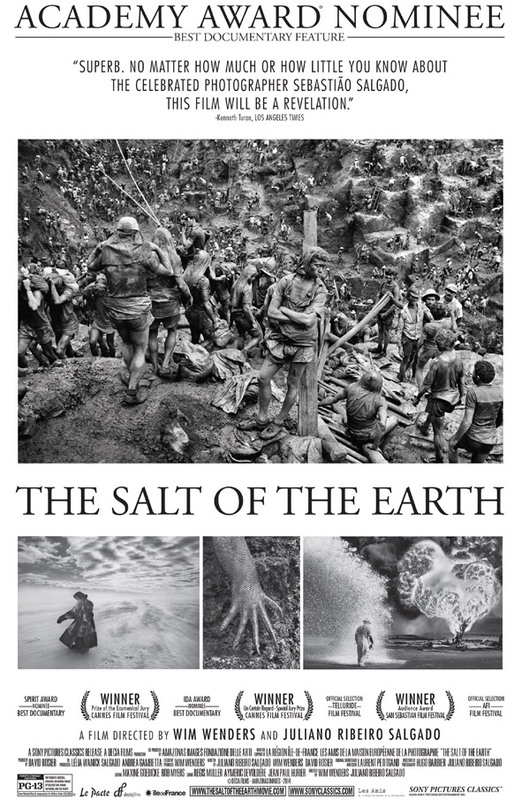 The Salt of the Earth is a documentary by Wim Wenders exploring the life & work of legendary Brazilian photographer Sebastião Salgado, co-directed by his son Juliano Ribeiro Salgado. No doubt you've seen some of Sebastião's photos, many of which are featured in this doc. It's a mesmerizing look at a man who documented humanity in such a remarkably honest and intimate way, and the doc becomes something else when it focuses on how much he (Sebastião) loves this planet we are destroying. It was nominated for an Academy Award this year. For the last 40 years, the photographer Sebastião Salgado has been travelling through the continents, in the footsteps of an ever-changing humanity. He has witnessed some of the major events of our recent history: international conflicts, starvation and exodus. He is now embarking on the discovery of pristine territories, of wild fauna and flora, and of grandiose landscapes as part of a huge photographic project, which is a tribute to the planet’s beauty. Sebastião Salgado’s life and work are revealed to us by his son, Juliano, who went with him during his last travels, and by Wim Wenders, himself a photographer. The Salt of the Earth first premiered at the Cannes Film Festival last year (read my glowing review), and played at numerous fests before earning the Oscar nomination (it lost to Citizenfour). Sony Pictures Classics will release The Salt of the Earth in limited theaters starting March 27th this spring. Don't miss this doc. YES! Amazing. People of Earth!! !~ People who wouldn't like watching this movie...might not be people?...haha.